Bulgaria's center-right GERB party, which was forced to resign under public pressure in February, took a slight lead over the Socialists in the crucial early general elections, an exit polls say. The center-right GERB party - headed by former Prime Minister Boyko Borisov - and its main challenger the socialist BSP party were running neck-and-neck throughout the day, but at the end the recently ousted party took a lead of over 3%. Support for GERB stood at 30.3%, while backing for the Socialists decreased to 27%, according to an exit poll, conducted by private Gallup polling agency. Other parties expected to pass the 4% threshold needed to enter parliament are the Movement for Rights and Freedoms (MRF) - which represents Bulgaria's ethnic Turkish minority – and the ultra-nationalist Ataka. They garnered 10.7% and 7.5% respectively. The centrist Bulgaria of the Citizens, headed by former European Commissioner Meglena Kuneva, failed to overcome a threshold of at least 4% of the votes to gain seats in parliament. The exit poll sees four parties entering the 42nd National Assembly, in a combination that – on the face of it – is more likely to result in a socialist-led coalition than in GERB being able to form a government. A party needs to garner more than 43% of the actual votes to hold a parliamentary majority. Coalition Democrats for Strong Bulgaria and Bulgarian Democratic Forum, led by the hard-line rightists of former Prime Minister Ivan Kostov, garnered 2,6 % of the vote. Voting started at 7 a.m. local time (0400 GMT) and ended at 8 p.m., with exit polls out shortly after close. Turnout has been set at just below 48%, much lower than four years ago. Bulgarians went to the polls on 12 May in an early election, four months after mass protests against austerity measures and energy costs forced out the government of the center-right GERB party. A total of 6 868 455 eligible voters were urged to cast a ballot in the poll, which comes amid resentment and disappointment over unfulfilled expectations during the term of Boyko Borisov’s government. 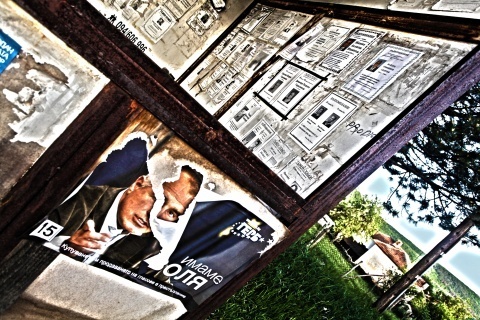 This was Bulgaria’s eighth free general election since the collapse of communism in 1989. A total of 8,148 candidates are vying for seats in the 240-member parliament. Sunday's elections were observed by a number of foreign and Bulgarian organizations. They come amidst concerns over vote-buying on an epidemic scale and have turned into a chance for politicians to escape legal proceedings against them as Bulgarian law grants immunity from prosecution to candidates. The run-up to the elections had been marred by revelations of illegal wiretapping of politicians, claims of frauds and preparations for total falsification of the vote by the formerly ruling party GERB. The Socialist leader and main opponent to the former prime minister Sergey Stanishev called the news “a huge scandal”. The center-right government of Prime Minister Boyko Borisov managed to cut Bulgaria's budget deficit and public debt to one of the lowest in the EU, but lost the support of many voters due to wage and pension freezes and failure to root out rampant corruption. Tens of thousands took to the streets in February to protest against corruption, rising unemployment and high utility bills, forcing Borisov and his GERB party to resign. Since then the country has been run by a caretaker government, headed by former Ambassador to France Marin Raykov. The backlash that the former government faces however has not fueled the popularity of one particular party, raising the possibility of a hung parliament, uncertainty over the formation of a government and further political turmoil.